Is this just plug and play or do I need to run ME 3 explorer? Thanks. Love your mods and the fact that you are making them plug and play! But it replaces pccconsoletoc.bin what if I have another mod that replaces the same file? Hi, just asking didn't EDI have a visor on in ship etc for this mod? so this might be a stupid question. but is there anything special I need to do to have this mod's EDI in her DLC outfit? or can I just switch outfits on the squad select screen and we're good? thanks for your time. Edit: yep. was dumb question. really should try before I talk. thanks for the mod, makes the whole EDI Joker Romance much less strange. Still working on Tricia Helfer EDI. 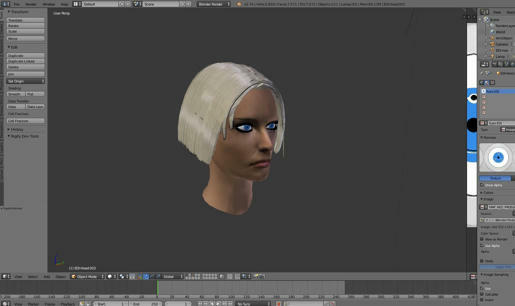 Almost have her face mapped to Tricia's and am also getting close to finished with the hair mesh. 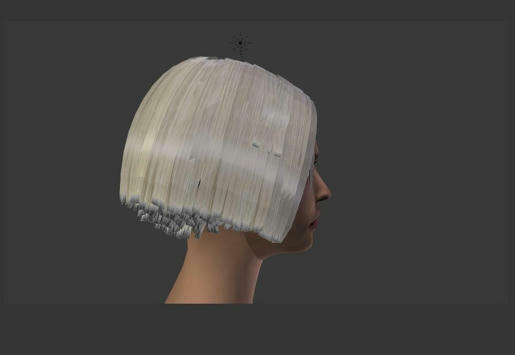 Made a blonde hair texture today using same colors as the Helfer pic I used in the image in the previous post. Textured with preliminary blonde hair, mesh about 90% done. Had to make adjustments to shape of face (it's not quite right for human - eyes too far apart making brow too narrow, forehead a bit too round). but thanks for the info, i now start searching google how to work with me3/blender. So what about human-skinned EDI? When we get to see her? Hi there. 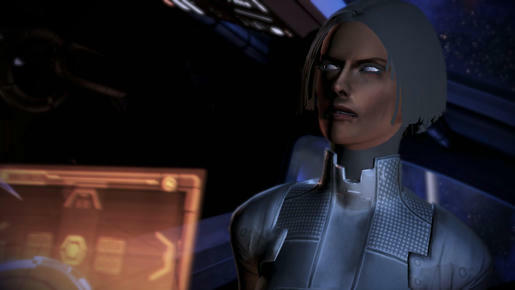 Just tried using this mod and when I tried EDI's model is completely black (no texture at all) except for her eyes. The only other mod I'm using it with is EGM - Expanded Galaxy Mod. Is there a known conflict with these? I'm also using the ME3 Mod Manager to load the mods too. 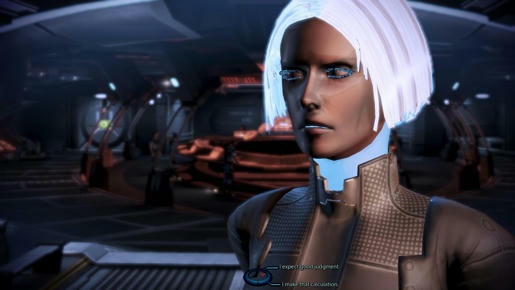 Great mod, but would it be possible to change the squad selection images of EDI to her modded appearance? This is awesome! Love it! 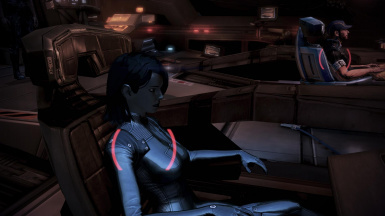 However, just fyi, the things it does to EDI's arms during Citadel DLC are hilarious! She gets hanar arms, lol. Getting closer. Her face skin appearance is now correct and her hair/scalp no longer glows but I'm not sure yet why the hair/skin texture for the neck/scalp is not appylying properly. Getting around, finally, to trying to get my new blond EDI working. I've tried a few times but have been having some texture issues. Need to tweak some settings, I think, to get it to look right but the mesh is certainly 99%. Need to make her face skin less shiny, he neck, scalp, hair, teeth non-glowy, and get the eyes to contrast white with blue irises.